Death and Strife, along with the Chorus of Darkness, serve as narrators in this foreboding tale, the story of Romeo and his first love, Rosaline. Although their families have been at war with each other for centuries, the young couple are so enamored with each other, they are ready to defy their families and face the inherent danger. But Death and Strife will cleave their tentacles onto the dreams and aspirations of this mortal pair. 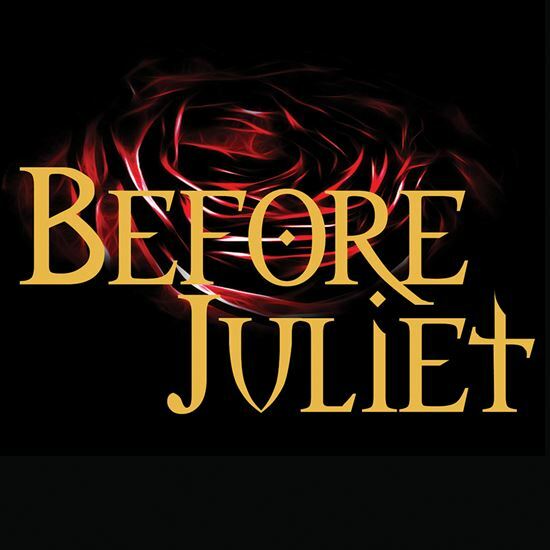 Filled with moments of bittersweet tenderness and joy, the play unexpectedly turns dark when Rosaline betrays Romeo and arranges his death at the hands of his enemies. This highly theatrical piece gives the audience a glimmer into the depths of despair that consumes Romeo at the beginning of Shakespeare’s classic, “Romeo and Juliet.” Performance time: 60-70 minutes. Our acting company was about to begin rehearsals for Shakespeare’s “Romeo and Juliet,” and the actors kept asking about Romeo’s previous relationship before he met Juliet. They questioned how a man’s attention could be so fickle; others tried to find a rational explanation to Romeo’s decision to enter into a new relationship so quickly. I decided to give Romeo a past which modern students could relate to - and that’s how the process started for creating this play. My favorite line in the play is really a scene. I love the epilogue where the Chorus of Darkness targets Juliet as a source to begin “a new game.” It leaves the audience thinking about whether or not we are truly in charge of our own destiny. I used Shakespeare’s “Romeo and Juliet” as my basis for character development. I tried to keep in mind the mannerisms and character growth they experienced in that play and planted the seeds of that development in mine, so that if directors wanted, they could run the plays back to back and they would make sense. I wanted to give the characters a past and to also make the audience aware that we can tie in the mystical element to any story and create a world filled with a myriad of possibilities. I wanted us to think about our purpose and place in life and to realize how fragile human beings really are. This play has an infinite range of possibilities for acting, directing, and designing. There are no limits to casting possibilities.